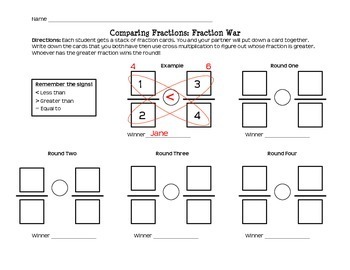 This activity is similar to the card game War but with fractions! Students work in partners to compare fraction cards to see who will win the game of War. 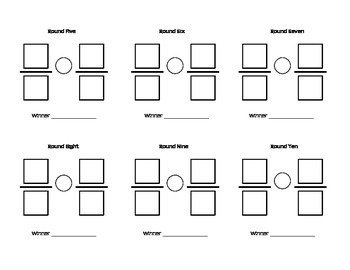 This activity uses cross multiplication as the method for comparing fractions. Fractions cards can be computer generated or hand made on index cards.